Being the first company to introduce netbooks, ASUS apparently decided to be the last, squeezing all the remaining juice from the word "netbook". In this regard, it was decided to lift the veil of secrecy over the new line of EeePC Flare netbooks based on Intel Cedar Trail and AMD Fusion. Being the first company to introduce netbooks, ASUS apparently decided to be the last, squeezing all the remaining juice from the word "netbook". In this regard, it was decided to lift the veil of secrecy over the new line of EeePC Flare netbooks based on Intel Cedar Trail and AMD Fusion. This line includes multi-colored models with matte displays of 10 and 12 inches. As the processors will be used Atom N2600, Atom N2800, AMD E-450 and AMD C-60. In total there will be 4 models: 1225B, 1225C, 1025C and 1025CE. By the way, we already wrote about the first one (1225B) last week, so already on it you can estimate technical and riot of colors (as many as 5 color colorings). 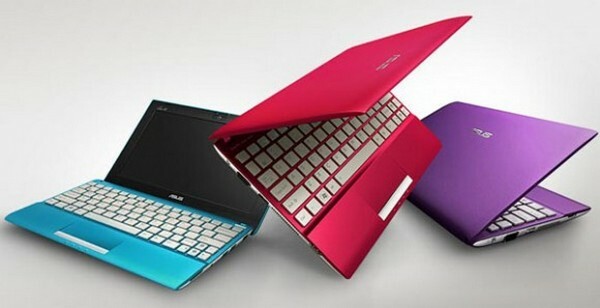 More details about the new products will be known during the exhibition CES 2012, but now I want to say that in the role of "the last netbooks" I would like to see models with IPS-displays (in tablets of $ 200 or more put such a matrix, than netbooks worse? ), normal web cameras at 2 megapixels (not pitiful 0.3 MP, as in 1225B) and autonomy for real 8-10 hours (you will be surprised, but such netbooks already existed in the era of ASUS 1000HE in 2009). In that case, this could be a worthy completion for the term "netbooks".